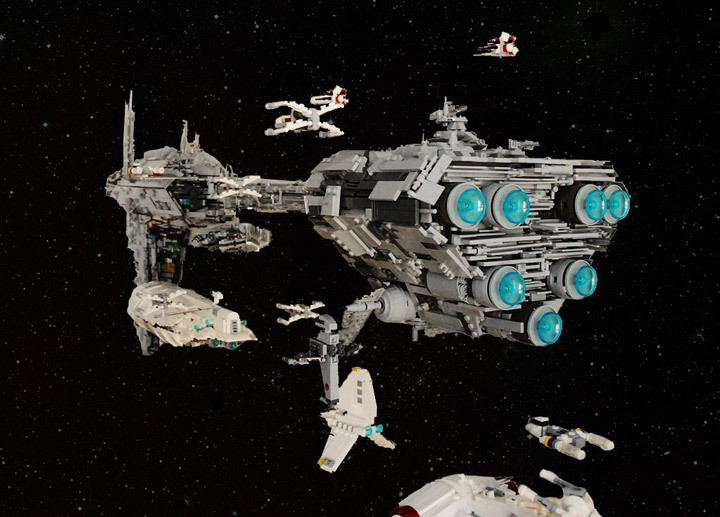 Lego Super Star Destroyer MOC, Release the KR-KN! 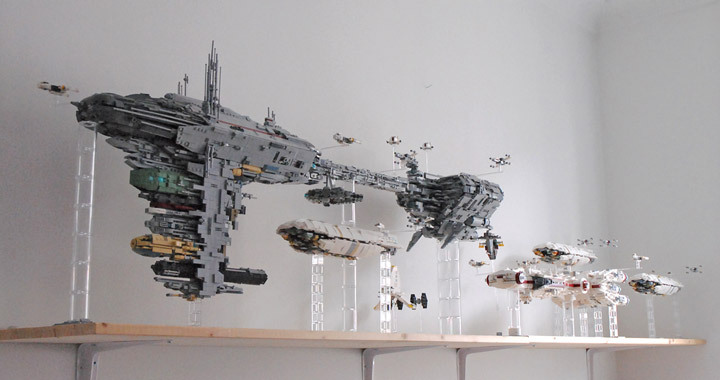 The Rebel Fleet is awesome! 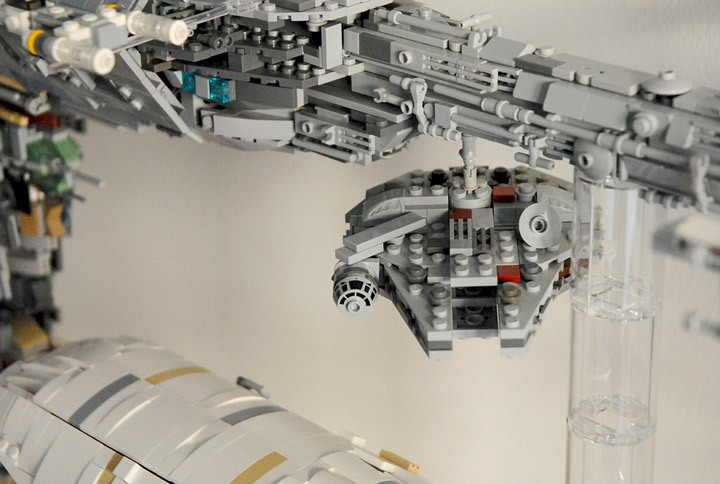 I would like to ask whether those transparent lego bricks holding the big space ship are official product of Lego or not, and where to buy.